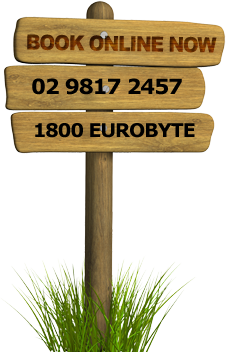 Yes, onsite repairs are our main line of business and you can Book Your Appointment Online or call us on 1800 EUROBYTE or (02) 9817-2457. 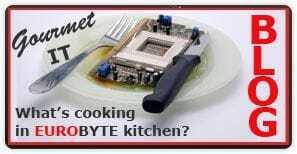 Are you providing same day computer repairs service? We strive to provide same or next day service whenever possible and we're pretty good in meeting this goal. We charge hourly rates but some computer repair jobs that are time-consuming have a fixed fee (or flat rate) to keep your IT spend reasonable and make sure you don't get overcharged. No, if the job is within our Onsite Service Area. I'm a senior. Do I get any discount? We've been offering a Seniors Discount for our computer repair services since our beginnings in 2003. This Discount applies to services only (products are excluded). We accept cash, credit cards (Visa or Master), and EFTPOS payments. We don't charge credit card transaction fees. What are your Online Store payment options?